(b) Remove the 2 hole plugs. 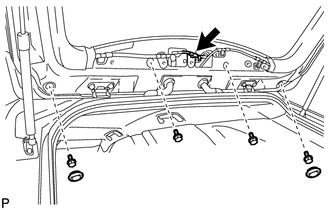 (d) Disengage the 3 pins to remove the rear spoiler assembly. 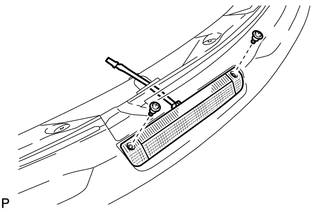 (a) Remove the 2 screws and center stop light assembly. 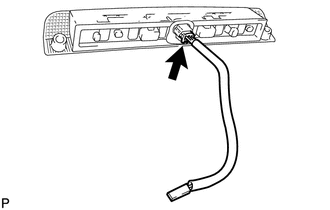 (a) Disconnect the connector and remove the center stop light cord assembly. (a) Connect the connector and install the center stop light cord assembly. 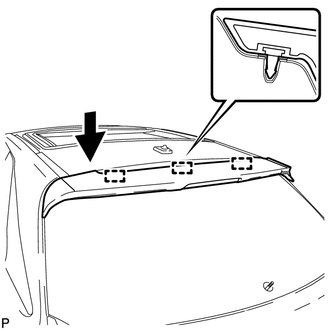 (a) Install the center stop light assembly with the 2 screws to the rear spoiler assembly. 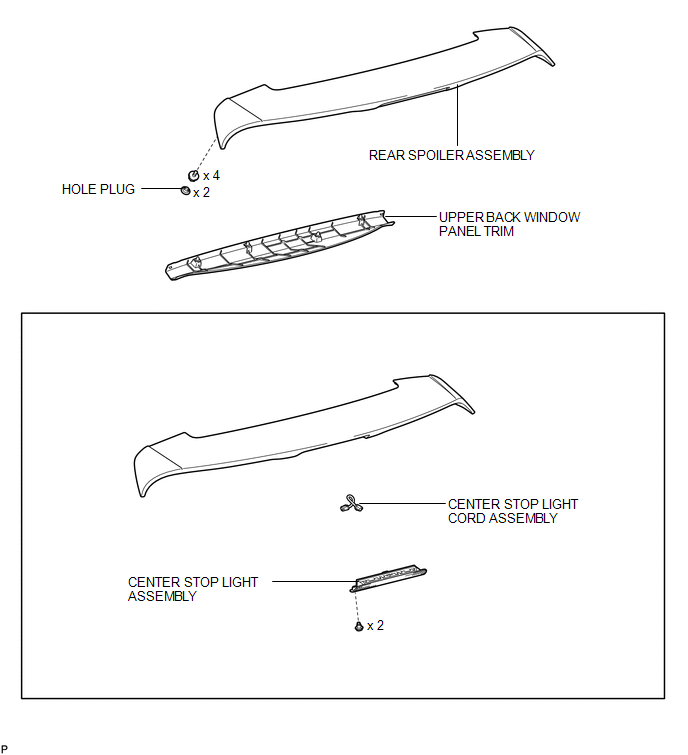 (a) Engage the 3 pins to install the rear spoiler assembly. (c) Install the 2 hole plugs.